It’s quite obvious that you don’t care for Rick Berman and Humane Watch. If I was in your current position after years of being fast and loose with the facts and I suddenly had a group calling my organization out, I wouldn’t like them much either. I find it funny that you call out Rick Berman for being a lobbyist when HSUS spends millions on lobbying each year. You state that the HSUS is governed by a 27 person board of directors and that those directors are unpaid volunteers. That sounds about right for a nonprofit organization to me. However, according to the HSUS 2012 tax filing you make $347,000 a year. Your organization has another 38 people making over $100,000 a year. I know that my local human society would be able to make a world of difference with just a fraction of your salary. How many animals would be helped if you took a pay cut and sent that money on to local shelters? You claim that HSUS has the highest charity rating from the Better Business Bureau and Charity Navigator. Never mind that the Better Business Bureau is Pass/Fail and seems to have serious issues with your organization. In the last 12 years, HSUS has only been ranked at the top of Charity Navigator’s scale 50% of time. You also leave out your D grade from Charity Watch. UPDATE: Charity Navigator has now issued a donor advisory against HSUS’ on their site. Read more HERE. Here’s a big one, you claim that The Humane Society of the United States shouts from the rooftops their involvement in all facets of animals, from pets to farm animals to wild animals. Yet the commercials you use to solicit donations show dogs and cats being rescued from horrible situations. You seem to think that’s alright because you feel certain that the people who give your organization money to save the puppies and kitties also want to end the use of lead bullets and whaling. Maybe they do, but it’s pretty presumptuous to guess that the little old lady who loves her cats and wants to help other cats also wants to change how farmers raise their pigs. You know what they say about people who assume… Your organization has 41% of it’s budget devoted to fundraising, Almost half of the money you take in is used to ask for more money! By now I think a lot of people have heard that that you give about $.01 of every $1.00 donated to local shelters. I hope they also know that your organization has assets over $180,000,000. Earlier this week I was told by Joe Maxwell, HSUS Vice President of Outreach and Engagement, that while you don’t give very much money to local animal shelters you help shelter animals by putting on the largest trade show for rescues and humane societies out there. A trade show? With all of the money you take in, a trade show is your crowning achievement in helping homeless animals? Tell that to the 30+ dogs I have fostered in our home. I bet they will pee on your leg. At $250 per person plus lodging and travel to sunny Daytona Beach, I wonder how many local shelters can afford to send their overworked and underpaid staff to your show? I guess for as little as $20, they can always subscribe to your industry magazine instead. Speaking of shelters, Joe Maxwell also shared that you guys are directly responsible for the placement of 100,000 pets last year. By your own estimates there are 6-8 million animals in shelters each year. You’re proud that with the $120 million dollars you spent in the same year your organization only helped about 1% of those animals find their forever homes? Seriously? If I had your money and and made such a tiny impact in something so important, I would be ashamed. Let’s look at the bottom line here Wayne. You can tout that your organization is above the board. You can say that you’re being honest with your donors and that your interest is in helping all animals. You can say that you are not against the use of animals for food. But as Joe Maxwell confirmed for me the other day, your organization is still subscribing to the 3 R’s. Reduce, Refine and Replace. From your website “The HSUS promotes eating with conscience and embracing the Three Rs—reducing the consumption of meat and other animal-based foods; refining the diet by avoiding products from the worst production systems (e.g., switching to cage-free eggs); and replacing meat and other animal-based foods in the diet with plant-based foods.” I think you missed another R, redundant. Your goal is for us to both reduce and replace meat in our diets. That agenda is where the dollars donated are going. That is what The Humane Society of the United States stands for. Let’s stop pretending, you may be a vegan wolf, but you’re still a wolf. The three little pigs have had enough of your tofu and they have joined up with Little Red Riding Hood and her buddy the lumberjack to show the world exactly what you and your organization is about. Welcome to reality, you’ll probably not like it here. « Growing tomatoes on the tarmac. 76 Comments on Dear Wayne Pacelle. I always look forward the email in my inbox that say’s you’ve got a new post and this one is no different!! Wonderfully written and it summarizes so many of my thoughts to exactly! Great job. Very well written, Carrie. I’m glad you took the time to respond to Wayne’s “letter”. It will be interesting to see what others think of your take of the piece. I really hope you actually sent this to him. This is the best piece you’ve ever written (grammatically and structurally). Good work! Carrie I always love reading your posts! I supported you with the Panera Bread campaign and I will once again with this! Love it – I support my local animal shelter, they’ll be the first ones to tell you how angry those commercials make them because they don’t see any of those donations and they’re screaming for kitty litter. “concerns about dehorning”. Subscribing shortly thereafter, I’ve never been disappointed by your wit and ability to express what so many of us are thinking. Thank you! HSUS in California spends a lot of money to find homes for dogs, cats, and other animals. When 2008 hit and the recession meant so many people were dropping off their pets to no kill shelters, including horses and other livestock, HSUS was there to help. Including in my area of California. Is HSUS perfect? Nope. But then I don’t know of many folks who raise animals for food that are either. And I do love yes LOVE that the HSUS actually cares 100% about how animals raised for human consumption are treated. But then most folks who dislike the HSUS were not there a year ago when some chicken owner up and left his egg ranch because it wasn’t making money, and thousands of laying hens were found says later, most starving, lacking water with many many dead. HSUS from California as well as other animals lovers showed up to rescue the hens that were alive, and either take them to no kill farm sanctuaries or no kill homes. Not according to their own tax returns. which, btw aren’t always very truthful. case in point- for years HSUS took credit on their tax statements for hundreds of thousands of dollars in donations to bay are CA shelters. except they never gave the shelters that money at all . it was spent by HSUS but WHERE exactly? it disappeared out of their nbank accounts but never went to the shelters. no one seems to know. what I do know, and can prove, and DID prove, is that the Runion Family Trust made the donations directly from a charitable bequest, managed by Melon Bank. HSUS never even had the money pass through their hands. see, a member of the family died and left a building she owned in San Francisco for the animals. it was to be sold, and the proceeds split for a specific number of years between the two shelters she had chosen. 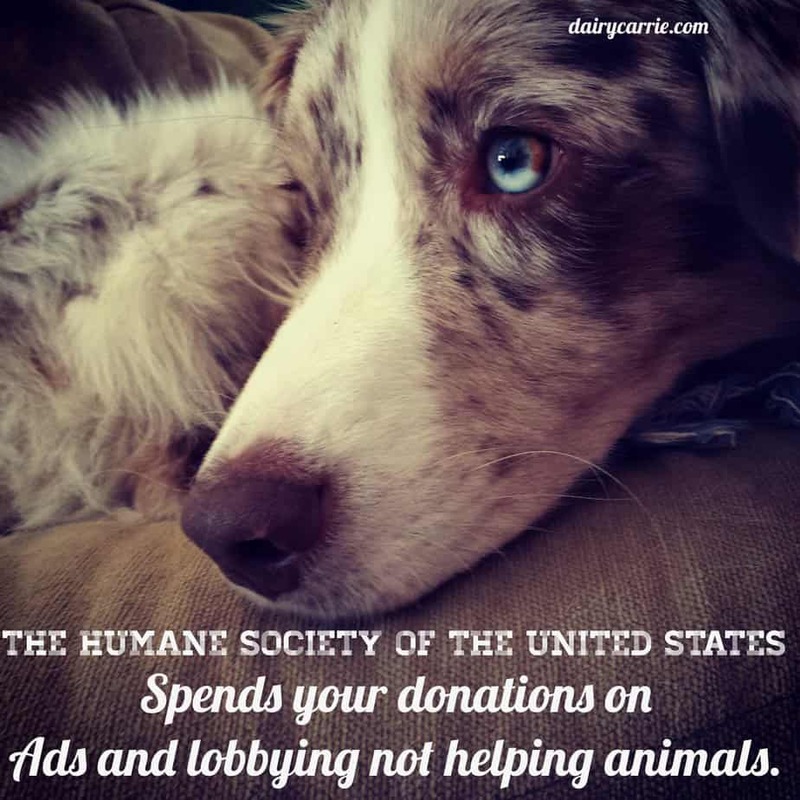 at the end of the giving period, if any money was left, it was to go to HSUS. when that small amount left over (about 4k) was mistakenly sent to one of the recipient shelters, HSUS wrote to the director and DEMANDED they send that money to them instead. basically they ripped food straight out of shelter animals mouths. so tell me again what wonderful things HSUS does for CA shelters? and incidentally, a lot of hungry folks in CA would have appreciated those former laying hens. what a waste to spend so much time (and money, but none of it HSUS’s cash!) on “rehoming” them and FLYING THEM out of state for “adoption”. -from a California girl. So many people from the Bay Area think that HSUS is so wonderful. Wish they would send the money to the local shelters instead. HSUS only gets directly involved when they can get big kudos or make a media storm. I read their tax statements and your accusations are FALSE. Download the forms to which you are referring and I will address the questions line by line. My guess is you won’t do it because you have no idea what you are talking about….you have quoted another source instead of reading the forms yourself. Nope, I read them myself. Pretty clear cut. There are many groups mentioned here that all came together to rescue those chickens: Farm sanctuary, Animal Place, Harvest Home, Marin County humane society, Sacramento SPCA and El Dorado Animal Services. In this article on the HSUS website their only contribution was $3000 for transport and care and they offered to help prosecute the farmer. Unfortunately when people see the words Humane society, even when it’s a local group, they give credit to HSUS. No one is denying that they sometimes do good things, but a very small percentage of their money goes to animal care. Many people donate to them instead of local shelters, so in the long run they take money away from local shelters. Ask your local shelter, they will tell you. I run a rescue group that has been around for a very long time and I know of no one that has received any money from HSUS other than occasional “spare change”. I am shocked and saddened to know all this now! I have never donated to them as I always wanted to. I will never now, just donate directly to the animal shelters and only adopt from them as well. Thank you for opening my eyes to all this information. I can tell you a first hand story. About 10 years ago, when I was an associate director at a shelter, animal control brought us 70 dogs and cats as the result of a neglect case. Mostly dogs. Over the course of one 12 hour overnight period. We were overwhelmed. H$U$ called and offered to help. They wanted to “help”, so they sent us $1000, but they wanted to have photos of the animals for their own fundraising efforts. We respectfully declined. They asked for their $1000 back. We told them to pound sand and thanks for the donation. That’s how much they help shelters. Love it, you hit the nail on the head here!! I do not, nor will I ever donate to the HSUS!! Thanks for posting this! YES! Well said. 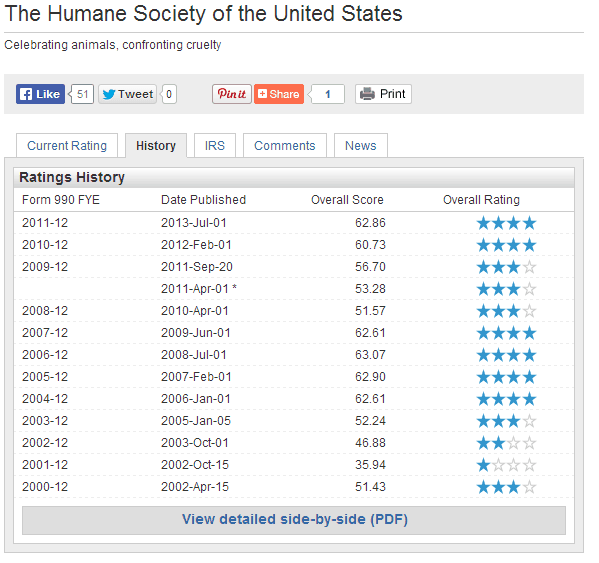 HSUS is a fraud ranking right up there with PETA, in my estimation. Don’t forget the ASPCA, they’re every bit as greedy. Don’t forget the zealots at Grey2K USA and their efforts to destroy greyhounds & greyhound racing. They too utilize all of the HSUS methods. Grey2K’s founder is a former PeTA protester – yadda yadda yadda. Well done again Carrie! I have shared your blog posts several times now; this one most certainly! Thanks for taking the time to write, and keep it coming! Dairy Carrie, you’re my hero!! Very well written. One other thing to point out. Many organizations will evaluate themselves based on the number helped divided by the amount spent to see how “far the money goes”. If HSUS helped to place 100,000 pets and spent $120 million, that is $1,200 per animal. Not very efficient, are they? Obviously, that’s not where their money is going. Another fabulous article getting to the heart of the issue. Thank you for being honest and candid in your posts. I admire and appreciate you! I ma constantly amazed at the ag apologists continued use of these lame talking points. LOL Gee, when the HSUS commercials show downer cows being abused by a fork lift, pigs in gestation crates, and turkeys being swung by their legs, how does one associate it with their local HS. Oh yeah, what about the disclaimer at the end? As time continues to prove, YOU are on the wrong side of history. Go HSUS!!! I am constantly amazed when people who’ve never spent five minutes caring for a cow think they know how to take care of cows. I slept in an airplane once. Does that make me a pilot? Even if the cow in the edited, staged video was alive, indeed HOW do you plan to move it? As a retired veterinary technician, I want to know your exact plans for moving a non-ambulatory, 1200 lb creature from point A to point B, without either lifting with heavy machinery, or dragging it, which is the less desirable of the two options. And if ‘cruelty’ is so rampant in the farming community, WHY do the animal rights zealots have to sneak around getting ‘hidden camera footage’, then have to edit it three way from Sunday, then have to SIT on it for months until a good political opportunity comes along before they reveal it? Do you have animals dude??? if you do and support HSUS, then you wont if they get their way..
And that downer cow on the commercial IS DEAD! farmers USE a forklift to MOVE the animal from out of the barn!! I grew UP on a rural farm, did 4H dairy, and have seen this personally.. Are the farmers suppose to leave a DEAD animal in with everyone that is living??!?!?!?! Seriously!! do NOT believe ANY of their commercials! dairy farmers do NOT abuse their animals!!!! Great points for those that support HSUS! Thank you Dairy Carrie! Such a wonderful agvocate! Carrie, You never cease to amaze me! I have been following you for about 2 years now and I am always excited when a new post comes out on you blog. I don’t know how you find time to do all that you do what with all your travelling and the farm and such. As usual keep up the good work. Elsewhere, HSUS has written that “in the past five year [sic]…10,000 puppy mill dogs have been rescued by our team.” (from a HSUS FB reply to a critical post, dated June 25, 2013) Interestingly, some 120-150 of those “rescued” dogs were destroyed in 2009 with the recommendation for their destruction coming from none other than HSUS because the dogs had been seized from a breeder of fighting dogs. Even puppies were destroyed. They were killed in spite of protests by other animal welfare advocates and offers from pit bull rescues that wanted to take the dogs, evaluate them individually, and rehab those those that could be saved. For the surviving 8500(?) dogs from this five year period, I’m hard pressed to believe that a single one was placed directly by HSUS. Right on! This IS the goal of the animal rights agenda-humans are NOT allowed to eat meat or use animals in any way (leather, fur). Sorry, but I have a problem with people telling me what I’m ALLOWED to do. And a vegetarian diet is unnatural and unhealthy for humans; devoid of life essential nutrients like Zinc, coenzyme Q10, B 12 and essential fatty acids. When you speak out against the fur industry THIS is what you are really supporting (http://old.furcommission.com/news/newsC7.htm). I believe in animal WELFARE, not animal RIGHTS. Right on! Spend your charity money locally, give it to local shelters, help out someone who can’t afford to feed their dog or take it to the vet because they’re unemployed. Spend it where it means something important and not another donation to solicit more donations. I have attended HSUS workshops and they are explicit that their goal is to eliminate all domestic animals from our lives as they deem them unnatural. These people are dangerous in advocating a no meat diet. Over 30 infants have died in this country and the UK due to their strict vegan parents refusing to feed them any meat product. These children died from malnutrition. Some of these parents are now in jail, but any parent who pushes a strict vegan diet should be found guilty of abuse of children as our brains require ACTIVE VB12 which is only found in meat. 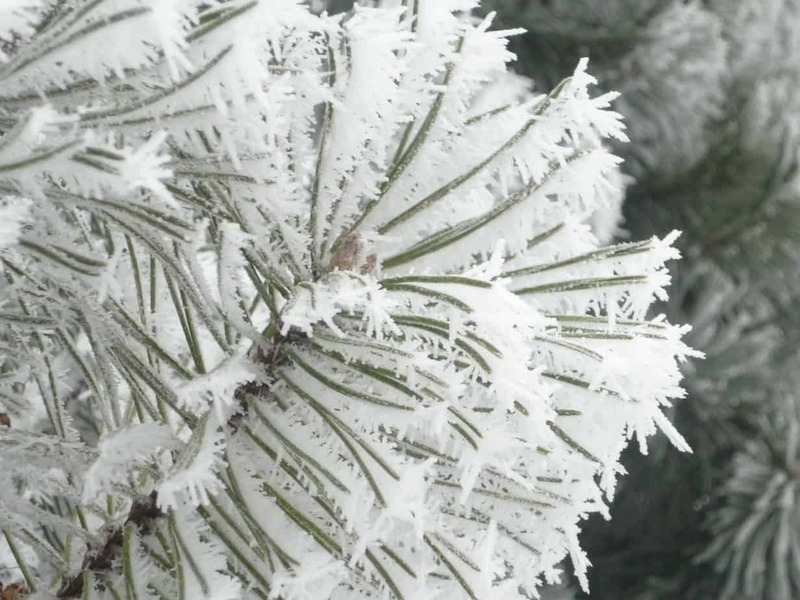 Inactive VB12 is found in plants. Only ACTIVE VB12 is useful in the human brain and body. Advocating a strict vegan diet is dangerous and use to be considered a cult activity. The Better Business Bureau is a sham. When you get ripped off by one of the companies on their list you will see what I mean. At the end of the day dairy operations still separate mothers & their babies on mass. carrie, love the photos of your dog! I share my home with a Aussie shepherd family member, too. 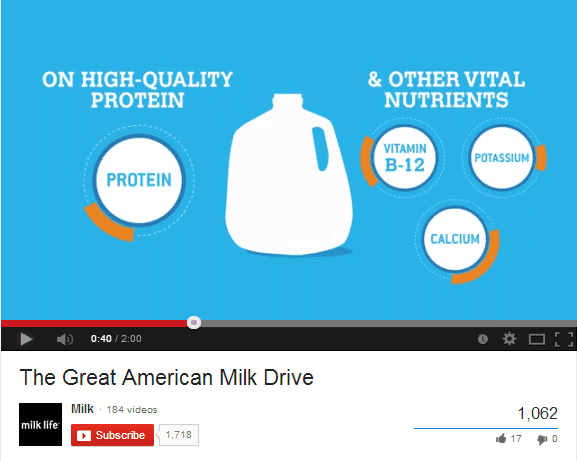 Just curious… what do you do with the calves born to cows whose milk you sell? In any case, a number of colleagues and I would be truly interested to know what you do with the calves. Thanks! You should probably check your source’s reputation. I personally find your penchant for espousing facts from HumaneWatch distasteful at best and this is why. Are you aware of these facts? HumaneWatch is ran by Center For Consumer Freedom. Actually just front groups for Rick Berman but I digress. CCF runs several questionable facts campaigns and websites. Among his best was an attack fighting against Mothers Against Drunk Driving. His efforts are for hire essentially to the highest bidder. Yet, the organization you utilize to attack Wayne Pacelle and HSUS operates this site to “dispel” the facts. http://www.obesitymyths.com/ By all means look at his work and tell me what you think. You question the motives of those who seek humane treatment of animals using a source that I would be embarrassed to actually cite as my “evidence”. If you do not like Pacelle or anyone who desires humane treatment of animals that is fine, but you could at least do so in respectable manor quoting reputable sources. If by sources you mean tax files and research… This post isn’t about HumaneWatch this post is about HSUS and their tactics. Cite your sources then. You claim you are using “tax returns” and “research”, those should be easily cited. You yourself mentioned HumaneWatch and the tone of your reference implied respect for them and a lack of respect for Wayne and HSUS. I have seen many respond to your “facts” particularly on Facebook but yet you still run with the HumaneWatch angle at every opportunity. Just as HSUS acknowledges and even works along side farmers in a humane farming effort, against the picture often painted of them that they seek an end to livestock farming, you surely could find one single thing they do right given they are the largest animal welfare organization in the world. There is a link to their tax return in the post above. I cited that I had heard Joe Maxwell speak the week before and I quoted the HSUS website directly. I do respect the work of HumaneWatch, again, that’s not what this post is about. I wrote a post in response to Wayne’s letter. I thought I made that pretty clear. As far as your claims on my Facebook conversations, I have no clue what you’re talking about? Maybe your personal bias is clouding your thinking here. Forgive me, I meant to say cite your credible sources outside of the HumaneWatch rhetoric. I’ll admit I have a personal bias. It is pretty clear you employ one too. If you respect the work of HumaneWatch by all means, please reply to my previous link on their “facts” around obesity. I know it’s off-topic, but certainly shows their true motivation. Or, perhaps we will just have to agree to disagree. Take care. How is hearing Joe Maxwell speak HumaneWatch rhetoric? How is posting exact quotes from the HSUS site HumaneWatch rhetoric? And how is posting copies of HSUS tax documents rhetoric? Wait, I get it! You don’t know what rhetoric means! So sorry, I should have realized that earlier. Actually, you can request the IRS forms from the IRS yourself, if you don’t like the sources they’re posted on. I’ve kept track of the IRS returns personally for the last five years. At the very BEST, they spent around one cent per dollar of their income on needy animals. And at the worst point, in 2010, I think it was, it was LESS than one HALF of one cent. Bravo! We need more farmers responding and your efforts are greatly appreciated. We posted your blog not only on DairyHerd but also on Drovers and PorkNetwork. HSUS is so good at fooling people into believing they have one motive when in actuality, it’s a completely different motive. Keep up the great work! There are ethical caring dairy folk like Straus Family Creamery in Marshall (Marin Co) California north of San Francisco who have dairy cattle that are raised in a healthy way. Straus Family Creamery sells only organic dairy products, and milk is in glass jugs. Anyway these folks appreciate the good work folks who actually care about livestock do. Same with dear friends who raise grass fed organic beef. They dislike how some ranchers care more about profit. We looked into a cow share and said no, because the place was not clean and cared for. And then found out that a couple other cow share folks in our area were so upset with this bad one, because its the bad ones that give everyone else a negative image. Beautifully written and completely factual. Excellent…will be sharing this well written piece as much as possible. So basically everyone is doing everything for the almighty dollar. Great, I can’t trust anyone trying to sale me something. That is basically what I have taken away from my past few weeks of research on animal welfare. Thank you for writing this and being so informative. Carrie, What an excellent piece you’ve written here! While many of the facts you mentioned don’t surprise me it still breaks my heart. All that money wasted while the animals still suffer. What an excellent article. Thank you for hopefully making more people aware of what is really going on! AMen. Hope you can send this article to Ellen DeGeneres. I saw her give a $10,00 check to HSUS. She’s well-being, but ignorant of the organization. With 20 years experience as a professional ACO & Humane Agent, what HSUS didn’t mention is that the Expo (their tradeshow) costs a significant amount of money for humane agents to attend. A good $500 plus travel/lodging costs…and you’re often required to stay in host hotel which is pricey. I once asked for a scholarship for an animal disaster expo and was laughed at by HSUS. In contrast, many veterinary training conferences have an animal sheltering track….and trade show. I paid a mere $100 for 4 days of world class training and trade show and animal art show at the Midwest Veterinary Conference. Oh…and there’s a Trust that provides scholarships for shelters who can’t afford the $100. So please, call them out. When a dairy came under attack around here, HSUS sent out mass emails calling for donations to help. Yet they never set foot in the county, didn’t help with investigation and gave nothing to local law enforcement dealing with case. This was a good family farm that was accused of atrocities which were untrue.